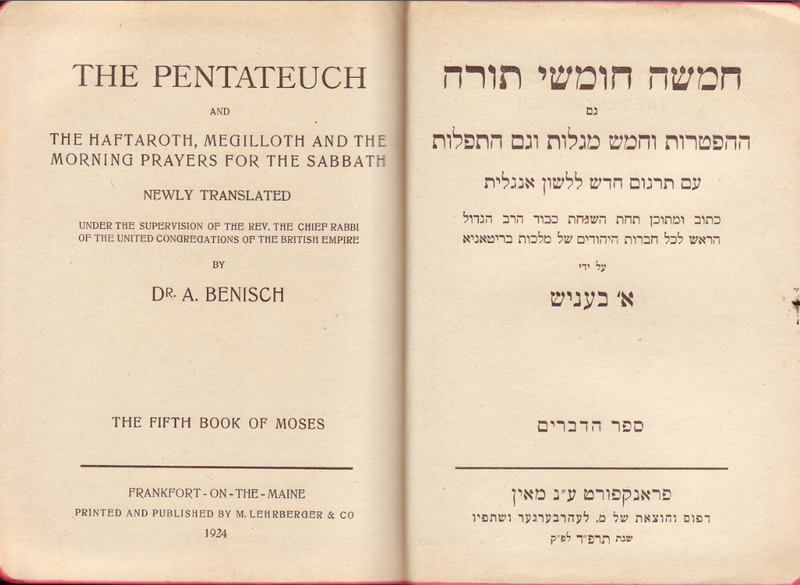 Click here for sample verses from the version by Abraham Benisch. Publisher: Frankfort- on- the Maine (Germany): Printed and published by M. Lehrberger & Co. 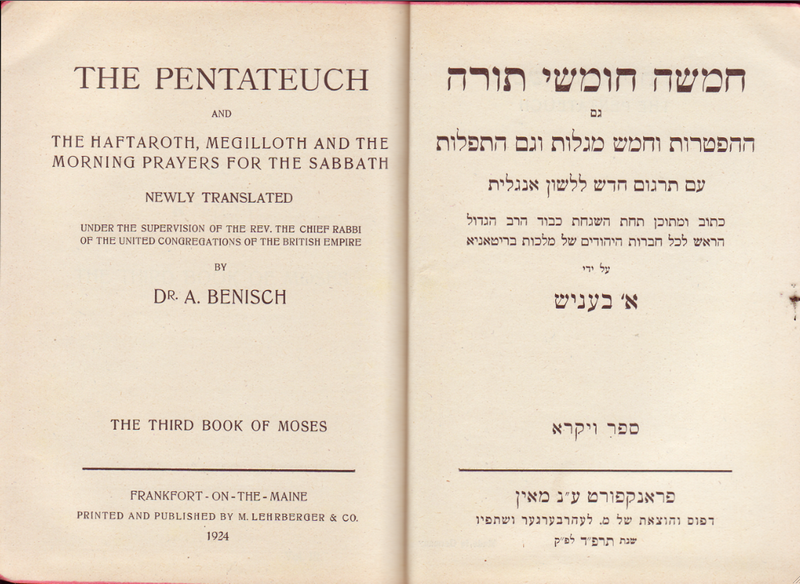 Comments: Small octavo, 149 double and 152 pp; Masorah on the right, English translation on the facing page. No annotations. Book opens from the back. 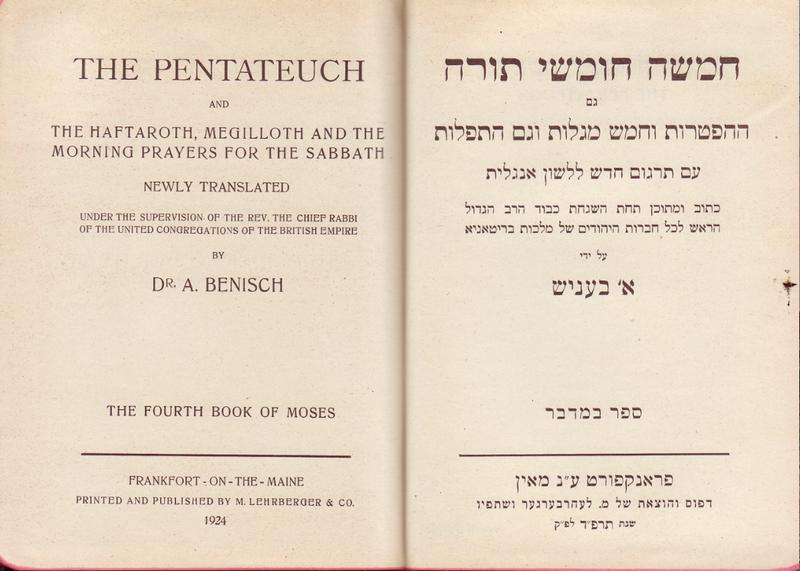 Note: This Pentateuch has been newly edited without translator's name mentioned by "SINAI Publishing" in 1973. 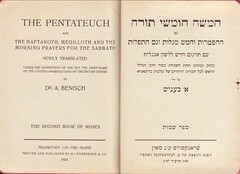 Comments: Small octavo, 127 double and 152 pp; Masorah on the right, English translation on the facing page. No annotations. Book opens from the back. 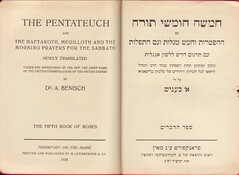 Note: This Pentateuch has been newly edited without translator's name mentioned by "SINAI Publishing" in 1973. 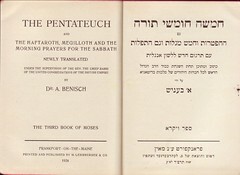 Comments: Small octavo, 133 double and 152 pp; Masorah on the right, English translation on the facing page. No annotations. Book opens from the back. 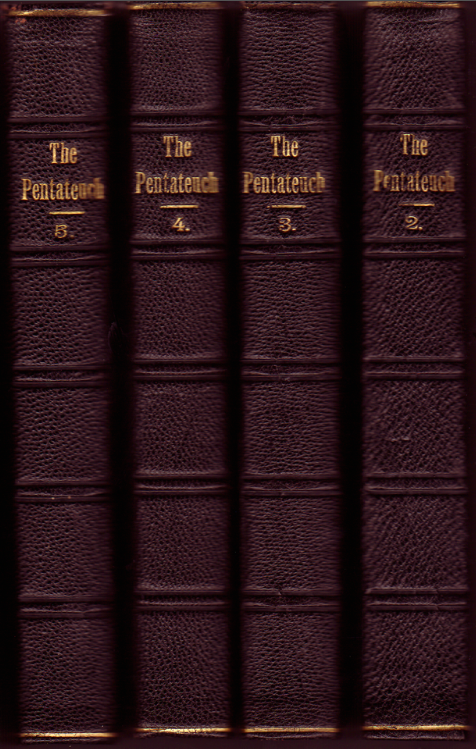 Note: This Pentateuch has been newly edited without translator's name mentioned by "SINAI Publishing" in 1973. 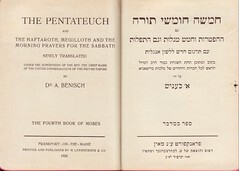 Comments: Small octavo, 145 double and 152 pp; Masorah on the right, English translation on the facing page. No annotations. Book opens from the back. 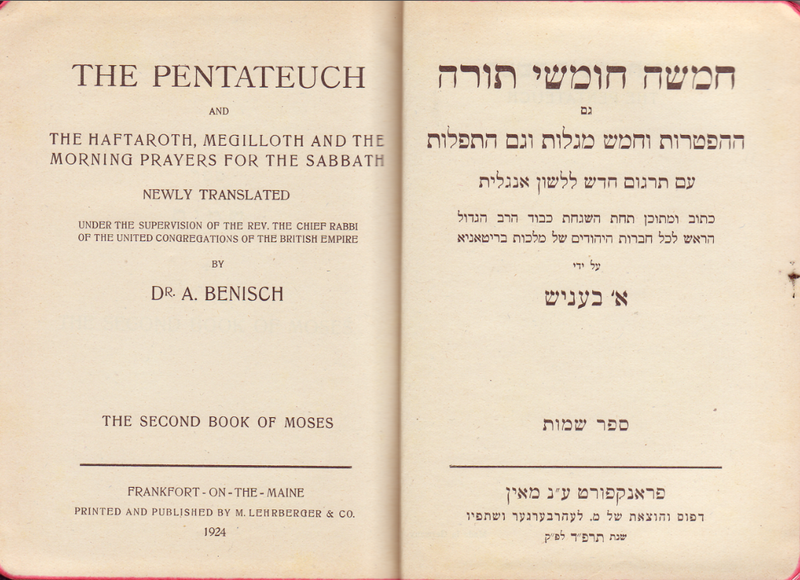 Note: This Pentateuch has been newly edited without translator's name mentioned by "SINAI Publishing" in 1973.